Pangu Team introduced new jailbreak solution for iOS 9.2 – 9.3.3 users. However, it takes time to update jailbreak apps & tweaks to compatible with iOS 9.3.3. At this moment, Pangu jailbreak has stabled & developers has updated their apps works with iOS 9.3.3. 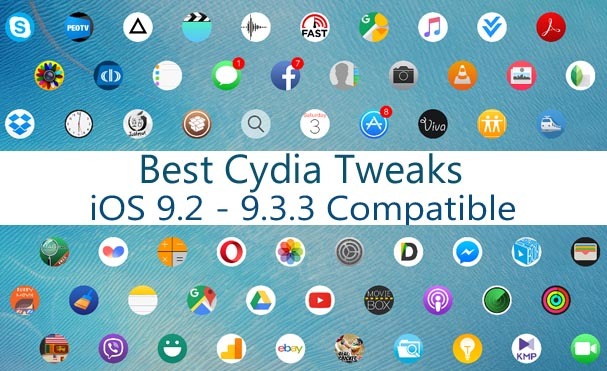 So, all jailbreak users are now able to get their favorites Cydia apps & tweaks for their devices running iOS 9.2 – 9.3.3. 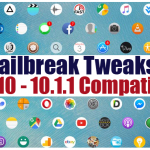 If you are still not jailbreak & install Cydia for your device? You can find jailbreak instructions in bellow.. Most of the jailbreak users haven’t clear idea about what are the apps that I install after the jailbreak. Therefore we like to help introducing some great Cydia apps, tweak, extensions that you should good to install on your iPhone, iPad or Pod. OK, find your favorites tweaks in the list bellow..
Must have application for all jailbroken users. So, we strongly recommend to install this app as first thing right after jailbreak your device. Using Cydia Eraser, you can remove Cydia & unjailbreak your device with complete restore to stock firmware without updating iOS version. This will be very useful to you when you got problems with Cydia or jailbreak. Then, you can restore the device & start over again with fresh install. Jailbreak ability of your device still keep remain. Compatible with iOS 7.1 – 9.3.3. You can find more more details about Cydia Eraser below.. The powerful amazing Cydia app must have install on your device. You can assign custom actions to button presses and gestures with this app. So many other jailbreak tweaks depend on this. A powerful file manager for iPhone, iPad & iPod. The best iFile alternative for jailbroken devices. Must have Cydia tweak for your device. This Cydia tweak adds 5th icon to your iPhone’s icon dock. On iPads, this will enable 7 icon dock. Another great app for customize Control Center allowing you to add additional toggles and quick launch options to CC. You can also arrange the order and remove toggles from CC. The powerful extension which adds video downloading feature to the YouTube app. Not only the video download, it gives tons of extra features for users. This is the must have Cydia tweak for YouTube lovers. Another great Cydia app that makes YouTube easier and more convenient to use, allows video downloads and playback speed controls with many more.. This tweak make colorful Control Center Toggles. Cream also works with other tweaks such as CCSettings, FlipControlCenter that modify the Control Center. Another must have Cydia app for your iOS idevice. This is the real iOS system Cleaner that removes unnecessary files from your device & free-up space of memory with optimizing device. This tweak lets you to customize your lockscreen and status bar to your own way. With this app, you can change the Slide to Unlock text, the carrier text, Passcode text, the Emergency button label, the Cancel button label and the Delete button label. Simple Cydia tweak that adds rounded corners to the Notification Center, Banners, Control Center and any more. Download manager for download anything whatever you want with safari mobile browser. A video downloader includes in this extension that support to download videos from YouTube, Vevo, Dailymotion, Youku.. The best ever movie app for iOS devices. Using this Cydia tweak you can watch/download any movie, tv-show directly your device for free. You can find more more information to download Movie Box for bellow..
How to install Movie Box for jailbroken devices? Do you like the feature of Live Photo? But, which originally available with only iPhone 6S & 6S Plus devices. Doesn’t matter, now you can enable Live Photo with your older devices. 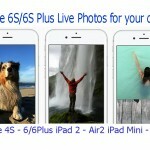 The best Cydia app called EnableLivePhotos enables “Live Photos” on unsupported devices for free.